Many times when creditors speak to me about suing an individual or business that owes them money, I paint a picture of the end of the lawsuit. 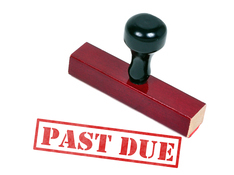 Filing suit, service, and even obtaining a judgment against the debtor are the easy parts- collecting money from that debtor is the tough part. North Carolina is traditionally a ‘debtor-friendly’ state in that there is generally no wage-garnishment allowed and state exemptions are quite generous. Accordingly, it takes a little skill and a lot of patience to collect on your judgment. Witt Law Firm has extensive experience representing creditors in lawsuits, as well as collecting on the judgment. Please contact our office for details.